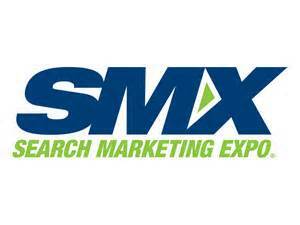 If you’re someone who is involved in online marketing, the acronym SMX needs no introduction. Search Marketing Expo is a conference that has expanded from its highly reputable SMX West staple in California, home of one of the leaders of the company that organizes SMX (Third Door Media Chief Content Officer Danny Sullivan), to an increasingly global event. The latest edition was in Paris from June 8-9 and was co-organized by Third Door Media, Rising Media and Marevcom. This year’s SMX Paris—apart from presentations by Sullivan and a few others—was mostly in French, but English translations of standout moments featuring francophone speakers were provided via Twitter (@Lengow_UK) at the URL bit.ly/SMXParisEnglish. If you’ve been following the international marketing news shared on the Lengow Blog, Lengow Hub and updates on Twitter, you probably saw the article published a few months ago featuring important SEO tips from SMX Paris co-organizer and speaker Virginie Clève, who shares best practices often on social media networks like Pinterest. Clève, well-known in Parisian and francophone marketing circles thanks to speaking at many conferences and mastering a wide range of digital tools, gave a rare interview in English on the Lengow Blog (bit.ly/LargowSMXParisPreview). Clève, who also shares industry news and other resourceful updates on Twitter via @largow, provided the the kind of online marketing advice that—like the tips shared at SMX conferences—is largely unavailable elsewhere. The speaker lineup consisting of Clève and Sullivan as well as other web marketing experts from around the world such as Algeria native Aissam Mezhoud (who leads Search Engine Advertising initiatives at Microsoft Bing Ads France) and Chile native Fernando Angulo (who leads international partnerships at SEMrush in Russia) led SMX Paris attendees to believe that they were in for a world of knowledge during the two-day event. Fortunately, the speakers did not disappoint. Sullivan, along with a team of Third Door Media reporters like Martin Beck who are excellent sources for news about digital marketing, regularly shares his detailed reporting on SearchEnglineLand.com and MarketingLand.com. His “The State of Search” keynote was in many ways a live version of his presentation of the search industry that readers have enjoyed over the 20 years he’s been covering the topic. During his one-hour presentation he covered everything from how search is evolving (including a mention of Microsoft’s Cortana), to search trends among millennials like his children to his own experiences searching for local restaurants at home in Southern California. #Search should be about users first. Sullivan also interviewed some of the speakers from previous SMX events around the world. The interview of Microsoft Bing Webmaster Duane Forrester (who, like Sullivan, flew in from the West Coast of the United States) by Sullivan, in addition to the Cortana analysis, served as a perfect segue to a standout presentation about SEA and SEO by Mezhoud. Mezhoud’s discussion revolved around Cortana’s predictive search features as well as best practices like writing quality content (a topic analyzed on the Lengow Blog by experts) and new Bing Ads features. He explained that it is important for online marketing teams that manage SEO and SEA to communicate more often. Another highlight of the conference was a presentation on improving Paid Ads by Angulo, who also took time to meet with the many visitors to the SEMrush booth and perform audits of websites. Angulo advised a strategy that involves investing time in optimizing search ads across several different categories instead of putting all of your eggs in one basket. Aside from all the digital talk, one of the best parts of SMX Paris was the chance to have conversations with people, according to Angulo. “SMX Paris was really good; from the speakers to the subjects to the sessions. We at SEMrush are exceptionally satisfied with our experience at this conference,” said Angulo. One aspect that still amazes us is the level of networking that took place. Everyone was friendly, open to sharing and more than willing to continue contact. Thanks to social media updates, even Parisian marketing leaders who were not able to attend SMX Paris, like Lengow Marketing & Partnership Director Frédéric Clément, were able to follow the latest happenings during the event. Clément, who has played a substantial role in the tech ecosystems of London and Paris and noticed the disconnect between them and other global communities, said he was glad to see SMX being brought to communities worldwide. “In an era where tech ecosystems often operate in silos, it is important for people to change the status quo and share useful information all over the world. That is why I am glad to see there is a Paris edition of a highly-appreciated online marketing event like SMX which is a staple in California,” said Clément. Those who want to keep up with the latest marketing trends can stay tuned for an SMX event coming to a city near them and discover the latest breaking news via Sullivan, Beck and the rest of the Third Door Media team on Twitter (@Sengineland and @Marketingland).